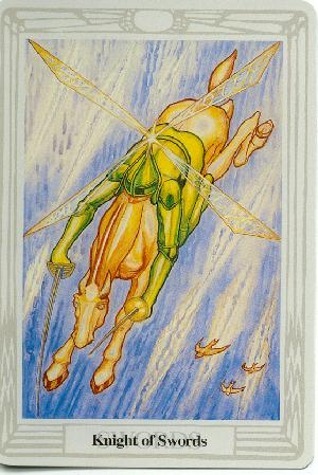 This article is the third of a series of four that outline the meaning of the four suits of the tarot Minor Arcana. 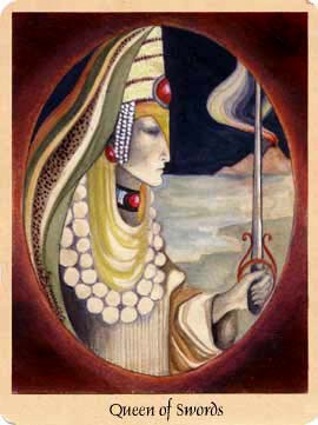 The suit of Swords corresponds to the East direction or wind; the Air element; the Spring season; the Yetsirah or Formative World of the Kaballah; The letter Vah (Stabilisation of Form) of the Tetragrammaton; the male yang energy; the suit of Spades; the Holy Word and the Jungian function of thinking. It is also associated with the astrological signs of Gemini, Libra and Aquarius. This suit represents our intellectual and rational faculties, the mental aspects and communicative of our lives. Positive characteristics associated with this suit include strength, authority, courage, and ambition and a desire and opportunity to travel. Above all, Swords indicate a desire to seek the truth and it is this desire to call a "spade a spade" that gives rise to the conflict aspect of this suit. Negative connotations include conflict, animosity, pain, anger and aggression. 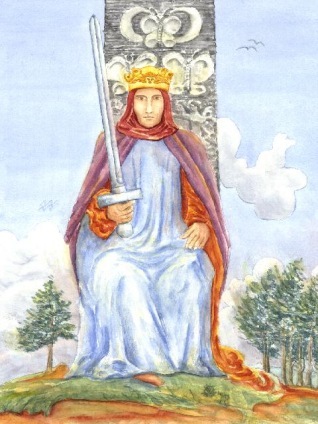 Like the other suits, various tarot scholars have called the suit of Swords by other names. This can be confusing to the new tarot initiate, but by now you are probably becoming aware that there are different schools of thought regarding the tarot, hence people from around the globe have chosen to give different names to significant tools, including the tarot cards. If you read or hear someone talking about the suit of Blades, Daggers, Knives or Spades - remember, that what they really mean, is the suit of Swords. Traditionally, a predominance of Swords in a spread have signalled arguments, illness, and even death. Yet because they represent intangible elements of the mind rather than hard facts, Sword majorities should be interpreted with great care. Our lives today are varied and mulitfaceted - we often have a lot on our minds. Several swords on the table do not always indicate problems ahead. They may just as well signal the confusion and multiple layers of mental concern instead. They give us an accurate reflection of what is going on inside of our heads in regards to the questions or issues being investigated during the reading. Of course, they MAY signal a warning of some impending event, but it is important to really tune into the cards and the querant before jumping to conclusions. 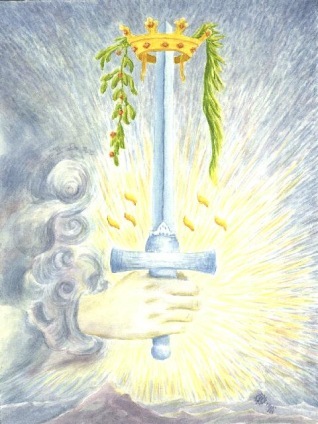 Since the Sword is associated with the Mind and Truth, it can be represented by the popular image of the balance or scales. Think of the blind-folded lady holding the scales of Justice when you think of the swords. This balance is not always easy to find or to swallow once we realize the truth about ourselves or a situation. Truth can be double edged just like the sharp and penetrating sword. It can signify miscommunication, entanglements with the legal system, a need for surgery or immediate health care, and struggles or conflict both inward and out. If cards are drawn in an inverse pattern they can also signify the negative side of people: the tendency to be arrogant, aloof, judgemental, condescending, critical, detached, insensitive, intolerant, distant and controlling. As noted above, the Swords represent our minds and all of the faculties inherent in them. This includes our rational thought, our ability to learn and remember, our consciousness and awareness and our perceptions. The suit points to our abilities to consider, to contrast and compare, to weigh the evidence, and to make a decision. It signifies our insights and awareness, our ability to inquire, analyze, synthesize and investigate. It also represents legal arrangements: contracts, leases, agreements, purchase documents and the like. Likewise, it can symbolize the legal, political and judicial systems - the courts, the laws at every level and the governance dominanting one's environment. Figuring out how and what the drawn sword cards mean takes work but once you get a handle on the mental flavor of this card, meaning will intuitively come.